I am a huge fan of Matt Lucas and David Walliams’ hit British comedy, Little Britain. Their sketches and the characters/situations they create are groundbreaking and traditional all at once. They take the old British gag of dressing up as women and take it to the next level. They know no boundaries of race, religion, or moral. They will make you feel uncomfortable, all the while laughing at their zany antics. Taaj, keeping it fresh with the biatches. the same style before, but they keep it fresh, just by being themselves. This time around, Matt Lucas and David Walliams are a variety of characters, all centered around an airport. In this mockumentary, entitled Come Fly With Me, Lucas and Walliams keep their fans happy with a brand new hilarious show. Praise to the Lord they will not sue! And what a show it is. With talking-head interviews supplementing situational comedy throughout the airport, Lucas and Walliams play over 30 characters in a feat I haven’t seen on Television comedies before. Every character feels unique and everyone can choose their own personal favorite. With the makeup being so well done, you may not even recognize Matt Lucas some of the times if you are just a casual watcher of the show. All in a day’s work for Matt Lucas. How much do you love Disney World? Despite racist allegations and shots at the show’s ego in spite of being after Little Britain’s success, I’m damn proud of Lucas and Walliams getting back out there and doing more comedy. I missed them immensely and was just looking for another show to fill the hole in my comedic heart. This show did it (with the help of Snuff Box). redneck. Or whatever you fear you may become. This show lightly grazes over a topic I didn’t know you could go over for 6 episodes for. Flying and airports. Hating the experience of flying itself, I felt this show handled a bunch of jokes that comedians have been pondering for years. “Why is airline food so bad…” And why is this show so good? 9.5 out of 10. 1 Comment	| tags: 30 characters, 6 episodes, airline food, airport, America, British comedy, Chinese man, coffee store worker, Come Fly With Me, David Walliams, flying, German, great makeup, groundbreaking, head of security and customs, hilarious and brand new, homosexuals, Ian Foot, inside joke, Japanese fan girls, liason, Little Britain, Matt Lucas, melting pot, men dressing as women, mockumentary, morals, Moses, nationalities, no boundaries, not politically correct, not racist, old British gags, pokes fun, Precious, profanity, race, redneck, religion, situational comedy, sketch comedy, Snuff Box, Sprechen Sie Deutsch, stereotypes, talking-head interviews, television comedies, unifying experience, wide array of characters, zany antics	| posted in Anime/ T.V. I’m one of those guys who can make the auto gun noise with my mouth and dived onto my bed while shooting two finger guns through the air. I love all action movies and guns, swords, and martial arts really get my blood flowing. When you have an homage/spoof/comedy movie like this that lets out the little kid in you who fantasized about riding into town on a horse and lighting up the bad guys, you have come to the right spot. 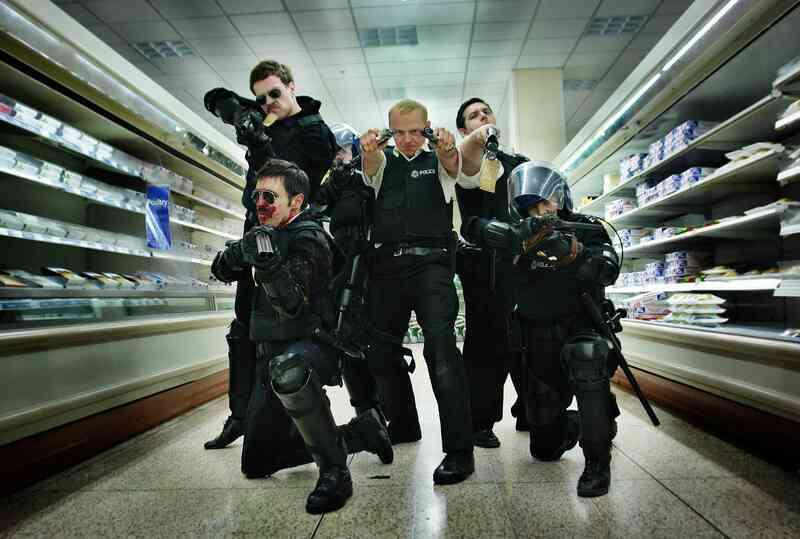 through two hours of well crafted action jokes and situational comedy, that might kill it for you. Not for me. 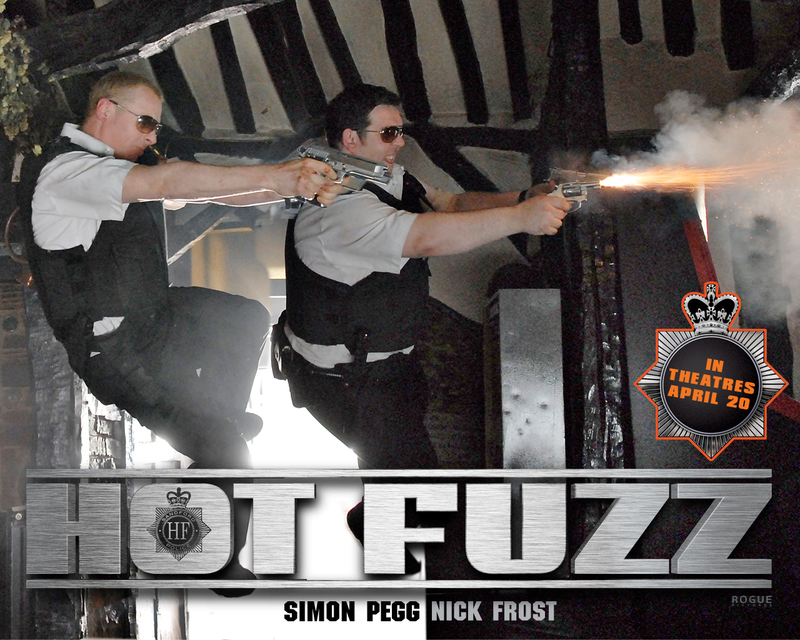 So this is another in the Cornetto Trilogy from Edgar Wright and Simon Pegg, and they just keep getting better. Their next one on the list to end the trilogy is “The World’s End”. Maybe more zombies? Who knows… All I know is that they are fantastic. For the childhood that I had where Star Wars, action films, cartoons, and sci-fi knowledge was a everyday thing, this hits home. Very close to home. And I loved it. Broadbent) and his son Danny (Nick Frost), Nicholas stumbles upon a bunch of “accidents” that could be nothing short of murders. Who is he to suspect? And who is he to trust? And finally, who is he gonna shoot up first? 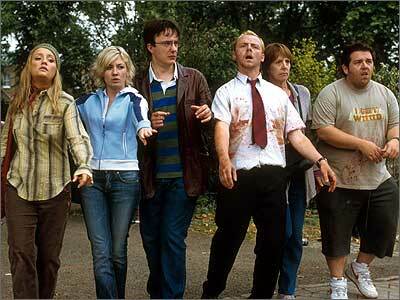 I saw this movie in theaters after falling in love with Shaun of the Dead, I had to see it the first weekend out. I about died laughing every 15 minutes of the movie (usually more often). This movie has a lot more punchlines per minute than Shaun had, but every bit just as good. They watched over 150 action films to get the script to be just right (insert their own British flavor and Bam!). This movie went to great lengths to be successful, and rightly so. It delivered on all movie going levels. Entertainment. To the extreme. There are a lot of great British actors in this movie as well. 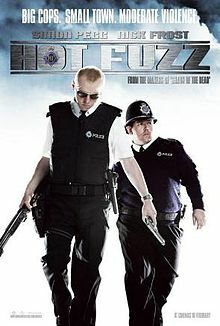 Obviously the buddy buddy duo of Nick Frost and Simon Pegg. You’ll never see two other actors onscreen who seem like they’re two best friends doing exactly what they wanna do. They are living their dream making these movies. As I mentioned before, my idol Steve Coogan had a small part beside Martin Freeman (Tim from the Office) and Bill Nighy, the funniest old British man. The Andes as they were referred to, Paddy Considine (you might recognize him as Ross from The Bourne Ultimatum) and that great famous son, Rafe Spall. He lost a lot of weight and did some growing up to play the other Andy in this film, and I loved him. 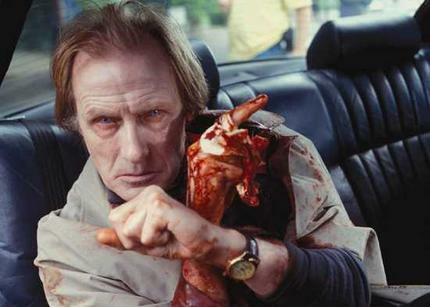 This movie has the wit and fast cuts you’d expect from an action film. All the guns, action, and cheesy action comedy (combined with some really clever comedic work) make this one of the best comedies of the 2000’s (right beside Shaun). You won’t see comedies this entertaining and perfect come along that often, and also featuring a former James Bond, Timothy Dalton. It looks like a lot of fun was had with this film (with plenty of homages to other films) and it really is a laughable thrill ride with slangin’ guns. Perfection in a barrel. 9.7 out of 10. A wonderful cast doing it on the night. antics lay before me in this film. 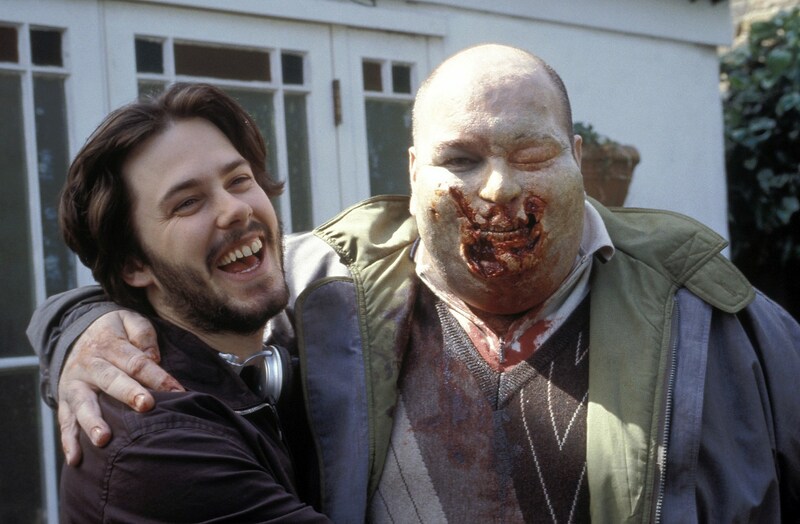 Leave it to the British to be so damn clever that they turn a zombie movie into one of the funniest films of the last 10 years (soon to be followed by Hot Fuzz). 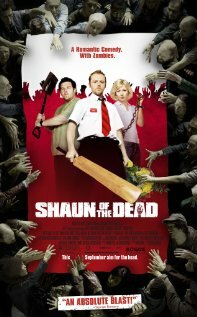 The first in what hopes to be a trilogy entitled “The Three Flavours Cornetto Trilogy” (every film so far has featured a Cornetto), I laughed hysterically (or at least I think I did back in 2004) to Shaun of the Dead. 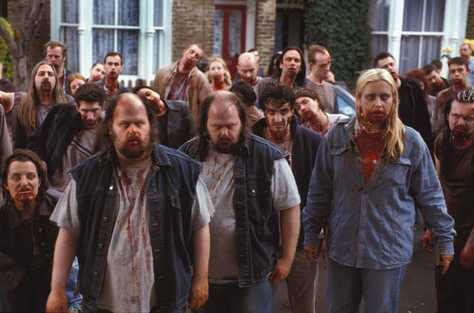 A lot of the zombies in the film are shown in other scenes, and are fans of Spaced or just happened to be around the time of shooting. Fantastic plot ensuing. Shaun (Simon Pegg) has an average life with a girlfriend, Liz (Kate Ashfield) who expects a bit more from their relationship. 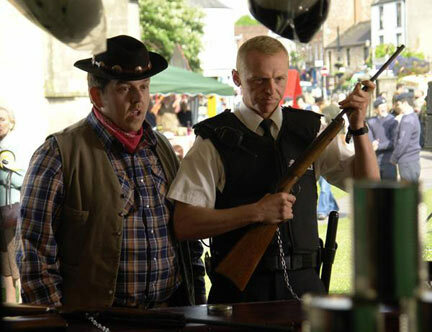 Ed (Nick Frost) lives in a shared flat with Shaun and their dickish roommate Pete (Peter Serafinowicz), and every night ends at the Winchester pub. After Shaun was supposed to finally arrange a nice night out, he messes up after a scrambled day at work, and Liz breaks it off with him. Planning on doing anything to get her back, Shaun and Ed wake up the next day to a zombie apocalypse. Guess things’ll be a bit more complicated than planned. See, it’s gotta be good, she’s smiling. Wright/Pegg, there’s nothing they couldn’t do. This movie uses interesting and dramatic quick cuts, ominously toned music at ironic parts, and comedic timing within the camera angles and cuts. It does mean a lot for a camera’s direction and cinematography to dictate the pacing and comedy of a film. This one has that. 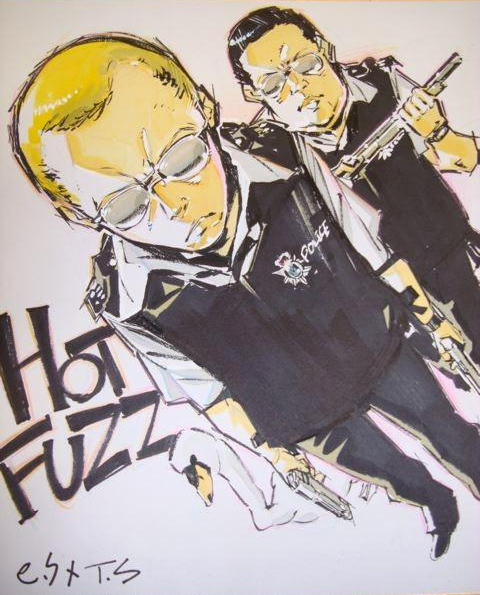 You’ll see the same thing in Hot Fuzz (a more action-y edge) and Edgar Wright’s Scott Pilgrim vs The World (a review I did a while ago). That’s some classic Nighy right there. appeared in Prometheus (you gotta check him out, he’s going places). This movie’s just a great watch and gets better every time you watch it with inside jokes and new groups of friends tuning in. (At least in my experience.) 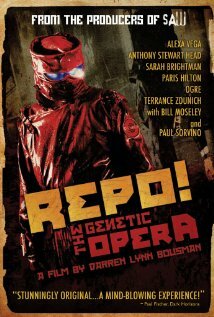 There’s nothing wrong with it, and it delivers on the horror fan and comedy fan that both dwell within me. If you’re any sort of a geek and love sci-fi/video games/movies/fantasy, this movie is for you. It’s a cricket bat to the head and worth all the injuries. 9.3 out of 10. I have been a huge fan of Rowan Atkinson ever since I was a young lad, watching the video versions of him as Mr. Bean. In 2003, when the first Johnny English movie came out, I had to see it. His slapstick antics mixed with that English accent you rarely hear in Mr. Bean makes him a wonderfully entertaining character. And, of course, what could be better than parodying the James Bond genre? 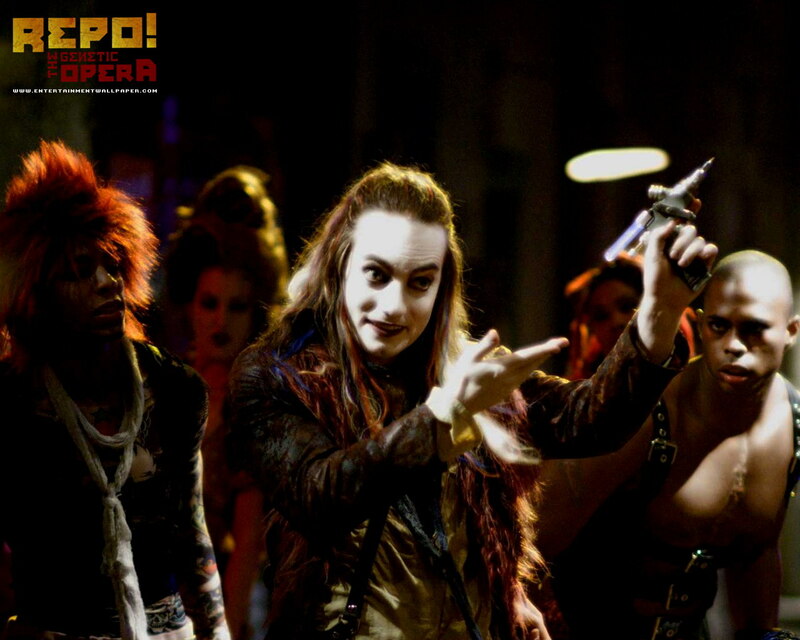 Reprising his role last year, Atkinson blazed on screen with his good looks and salt and pepper hair. Although he may be getting older, he’s not slowing down one bit. 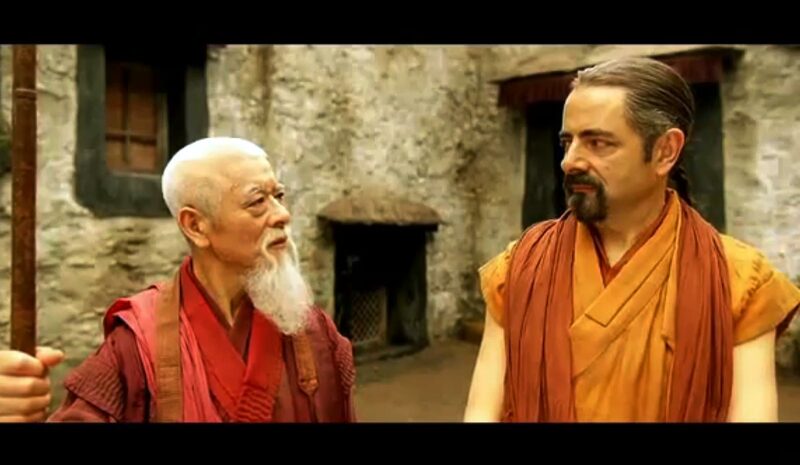 We are whisked away in the first scene of Johnny English 2: Reborn, to the mountains of Tibet. English is training among the monks in order to repent for an earlier mission that sends English into a state of Vietnam flashback nostalgia. 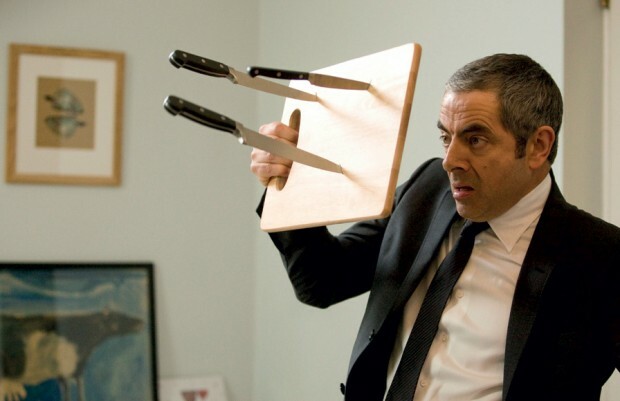 With some great slapstick to kick off the movie, Johnny English discovers that his skills are needed yet again back in MI7. Once he arrives back in the U.K, English must become reacquainted with the newly refurbished MI7. Now owned by Toshiba, English’s penchant for the past and the old way of doing things comes clashing into the wave of the future. Let the insanity ensue. Atkinson rigorously training with some monks. Assigned a new partner, Tucker (Daniel Kaluuya), and some new gadgets invented by Patch Quartermain (Tim McInnerny) it is up to English to protect the Chinese ambassador from being assassinated during his discussions with the Prime Minister. 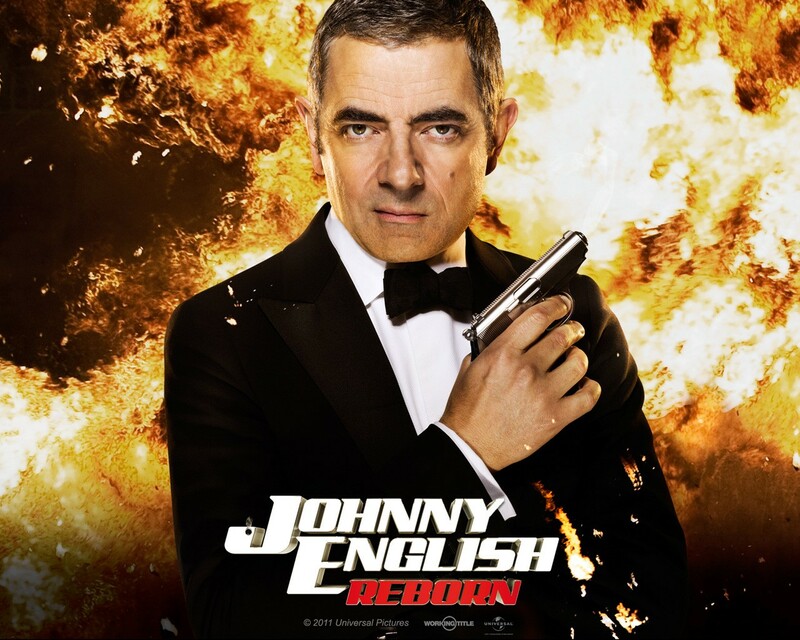 What Johnny English discovers is a secret plot that has been brewing ever since his mishap in Mozambique. With intrigue and sleeper agents galore, who can English trust? 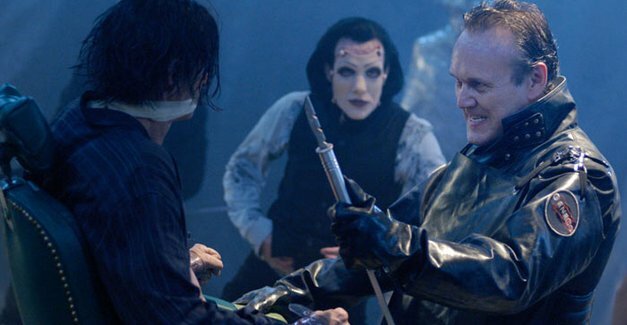 There are some great characters and actors introduced into this second movie that make up for losing John Malkovich and company in the last one. We’ve got Gillian Anderson, better known as Agent Scully from the X-Files, as the leader of MI7. This is the second time I’ve seen her in a film with a mostly British cast (i.e. How to Lose Friends and Alienate People) and she pulls off that air of superiority well. There’s also one of my favorite British actors, Dominic West. Having first ever saw him in 300 as the traitorous senator, West has made a career as wonderfully suave British men. Portraying Agent 1 in this film, he’s someone I could’ve seen as Bond, more than Daniel Craig. This was pretty dope. Despite him being able bodied. What else is there to point out in this film? There’s the evil killer cleaning lady. In a fight of the old farts, its a struggle for Atkinson to come out on top. 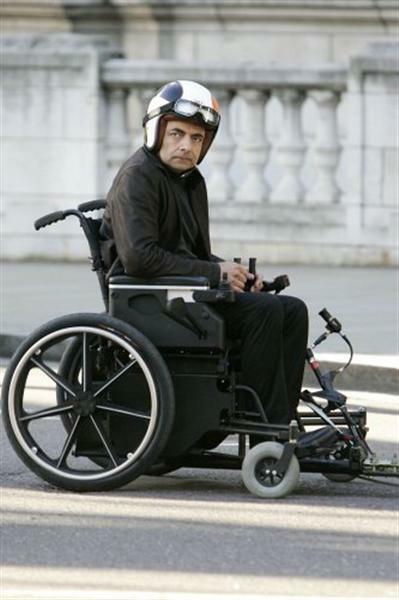 There’s all of Johnny English’s old gags and jokes, done just to show that he knows what the people want, and he can still deliver. There’s new jokes, as expected, but at this point in Rowan Atkinson’s career, I think he’s just doing movies for the hell of it. He’s an established, wonderful actor who is just doing movies for fun now. Or, at least, that’s the vibe I’m getting from his acting in these films. And, by all means, make Mr Bean/Johnny English movies until the day you die, Mr. Atkinson. They are all wonderfully entertaining and funny. Let the hilarious carnage ensue. If you haven’t seen the first one, by all means, check it out. And watch this one immediately after. They’re sure to make you laugh, even if you aren’t into British comedy. They’re wholesome, spot on Bond spoofs (the first more than the second) and they establish a character you come to love and adore. What more could you want from a film? 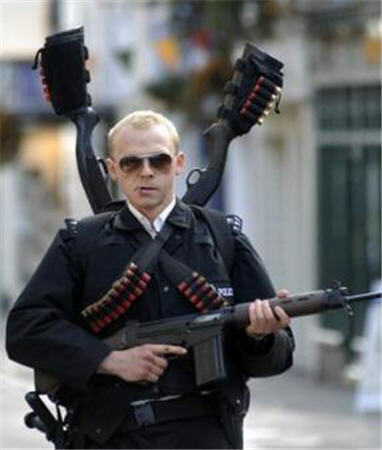 His name is English, Johnny English. And he deserves a 007 out of 10 for this film.